SEO (Search Engine Optimization) is a set of planned activities aimed towards improving the ranking and relevance of a particular site in the search results of major search engines. It is the act of using keywords and other related elements in a methodical way for the search engine crawlers to locate them and place them in high rank in all search results. This in turn generates more traffic to the site resulting in greater business and revenue for the companies. Designing and developing a great site with all the useful information is just not enough. Getting it viewed by maximum number of targeted users can actually get you business. Sitemaps that present all the pages to the search engines in xml format (as requested by Google). Professional level software specifically designed for Search Engine Optimization so that we can understand keywords for an industry, mine these keywords and review competition. Google Analytics to statistically measure site visitation, how people are finding the site, how long they are staying, where they are going, what keywords they are using, etc. Two other statistical analysis programs - one in cases of identifying the exact buttons that are being pushed on a page and comparing them, and another for deeper statistical analysis than Google analytics. 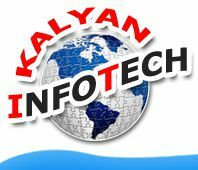 At www.kalyaninfotech.com we have trained search engine optimizers who follow the set guidelines and work towards improving the ranking and thus generating more traffic for the site. Search Engine Optimization, seo services, web promotions, top 10 pages in google, yahoo, keywords research, link building, heavy traffic, Optimize your website, google seo services, Web SEO Services, SEO Analysis, Search Engine Google Ranking, Web Marketing, SEO Marketing, Google Traffic Spider, Increase Traffic, SEO Marketing, Website Rank Optimizer, SEO Weekly Reports in Visakhapatnam, Andhra Pradesh, India and overseas. We know that automated SEO systems does not work effectively nor can automated submission systems accurately submit your website to the various directories in the correct categories, with titles and descriptions that will maximize their search engine effectiveness. Ours is a complete manual process. Our choice of keyword phrases that will produce the maximum ROI for your business. We guarantee results and just not talk about giving world class services. You get more serious business enquiries since our SEO process generates more targeted traffic for the site. The benefits are long term when a site is ranked among the top in major search engines. Our services are very affordable. So you spend much less than what you would spend for ads and campaigns under traditional marketing yet the result is unbelievably more satisfactory. SEO (Search Engine Optimization) Optimizing a site is not always a cakewalk, which is why some webmasters use an SEO consultant. We at www.kalyaninfotech.com do completely legitimate businesses that only follow the white hat optimization philosophy. We help the webmasters tweak Web page layout, select the right words to enhance traffic, and help facilitate Link Exchanges between sites with complementary content. We offer suitable SEO Plans for individual SEO/PPC Project. Our professional our Plans are customized according to the requirement of the individual websites and the target audience it caters to. We specialize in Article Submission, Directory Submission, Blog Posting Services, Forum Posting Services, Campaigning and Content Optimization, Chat, Web Marketing.